3 Leg Heldon Base — De JONG & Co. The Heldon Base is a minimal design which gives lift and lightness to any table top. The one and a half inch thick round steel is incredibly sturdy, without flex, and conveys a soft delicacy with the subtle bends which flow together. 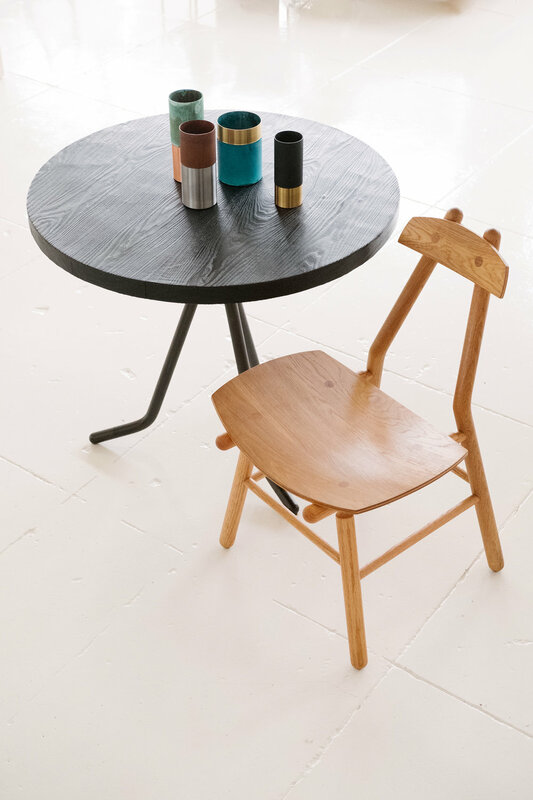 The Heldon Base also provides generous under-table space with its angled legs and feet that extend the grounding points for stability while allowing much larger chair and leg clearances. The Heldon Base is a minimal yet impressive support system for a Table Top.